A great number of micropollutants enter surface waters via stormwater runoff from agricultural and urban areas or via spray drift and atmospheric input. Switzerland’s Federal Office for the Environment (FOEN) and the cantonal authorities have established the National Surface Water Quality Monitoring Program (NAWA4) to assess and evaluate the water quality of surface waters. 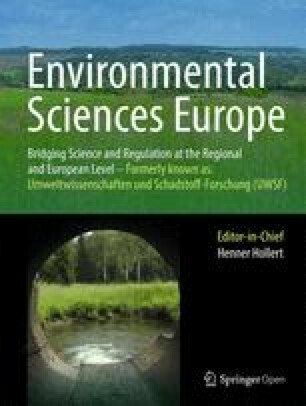 The Ecotox Centre contributed to special surveys (NAWA SPEZ) conducted in 2015 and 2017, which showed that small Swiss streams in agricultural areas contained numerous pesticides at concentrations exceeding legal limits. Bioassays were used to measure toxicity (potential) in ambient water samples, and results were compared to mixture risk estimated based on chemical-analytical data and water quality criteria [27, 31, 32, 33, 36].